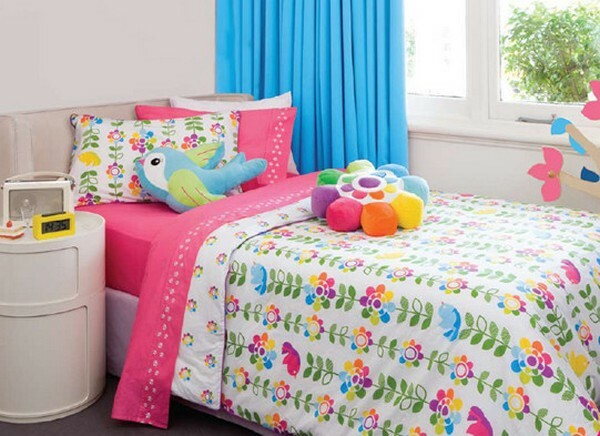 Weird confession – I have ‘summer’ bed linen and ‘winter’ bed linen. My seasonal choices aren’t dictated by fabric (which is the obvious variation). No, all the linen is cotton. What divides the linen cupboard into ‘summer’ and ‘winter’ is colour and design. In summer I go for patterns that are simple, fresh and bright. In winter I choose heavier patterns in warmer colours. This goes for my own bed as well as my kids’ beds. So, given that I’m about to start looking at winter linen, it’s timely that we do a quick review of linen we’ve loved over the past year at Babyology. First stop is the divine Jacob & Bonomi with their deliciously simple ‘Little Traveller’ print and ‘Tree of Life’ print. Both designs are available for single beds and for cots and both use crisp white as the starting point – ramp it up with a bright sheet or keep it simple and clean and stick with white. A duvet cover with pillowcase is $135. There’s never a shortage of floral or checked bed linen (for grown-ups and kids) but there is a shortage of designs for boys that meet tween criteria. Here’s the thing – boys who are aged six and over generally don’t want to sleep among cars, trucks and trains. Then again, they might want something more than a simple check or striped fabric. What to do, what to do? Take a peek at Lilly & Lolly – their bold black and white ‘Fly By Night’ design featuring a few friendly creepy-crawlies is ideal. Pick out your favourite colour in the design and use that as your decorating theme. 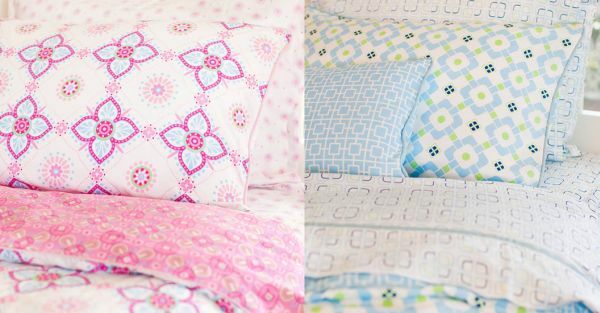 Lilly & Lolly duvet covers are $130 each. The fresh, geometric prints at Habitat Baby prove just how good lots of different patterns layered together can look. 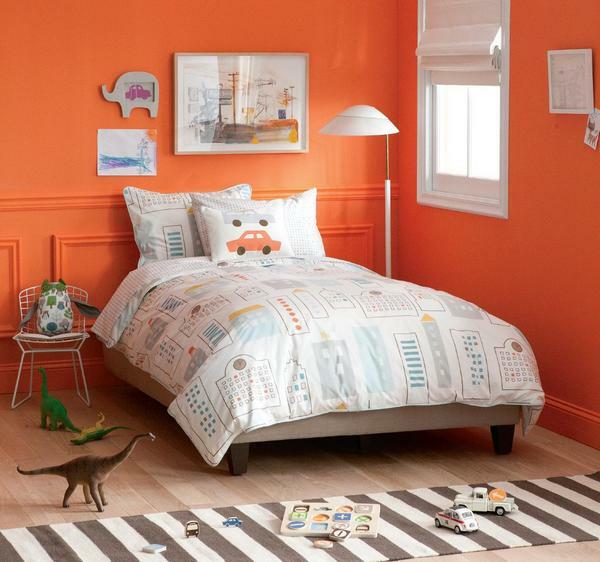 Slightly retro for boys and slightly boho for girls, the duvet covers at Habitat Baby will definitely suit kids from toddler to tween and beyond. Duvet sets are $149.95 each (also available in double size). It was love at first sight when I saw the Skyline design by Dwell Studio – cool aqua, steely grey and a splash of orange, the geometric skyscraper design is sensational (shown at very top). Dwell Studio didn’t disappoint for girls either – the new Indian inspired grey and pink Zinnia Rose pattern is sweet but elegant. 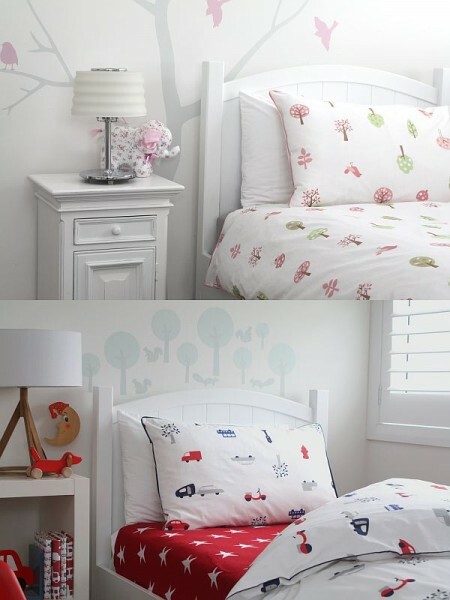 Duvet sets are $240 each at Infant Boutique. 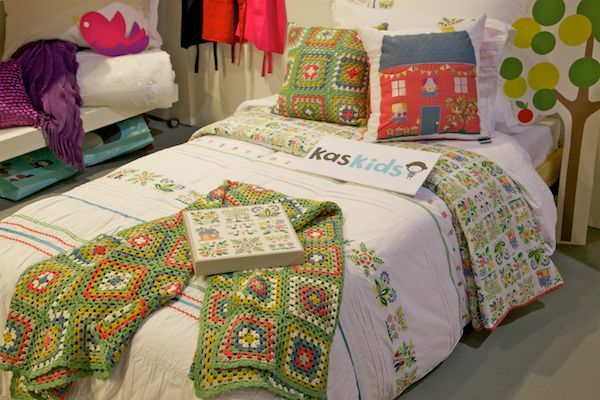 My love affair with Kas Kids began with their Penny collection (shown at very bottom) – a Scandinavian inspired rainbow floral (I bought it for my own daughter, Penny, and switched the hot pink sheets for green). That love affair is set to continue – the forthcoming collection that we previewed at Kids Instyle in February looks promising indeed! 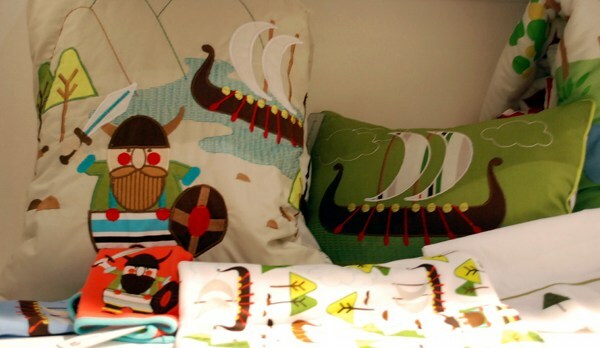 There’s more Scandinavian touches (this time Vikings for boys) and a girls range in a refreshing green, orange and blue palette. A quick mention also for Whimsy designs – their range is huge but there are a couple of standouts. For girls, the ric rac flowers of the Blossom collection are truly lush – somewhat reminiscent of chenille bedspreads common in the sixties. For boys, go for the pale brown matched with blue and red in the Kombi Vans and Double Decker designs. Whimsy can be found online at Giggle Smile Designs. Duvet sets begin at $109.95. So linen lovers – have any other labels caught your eye of late? Post a comment and share the linen joy!